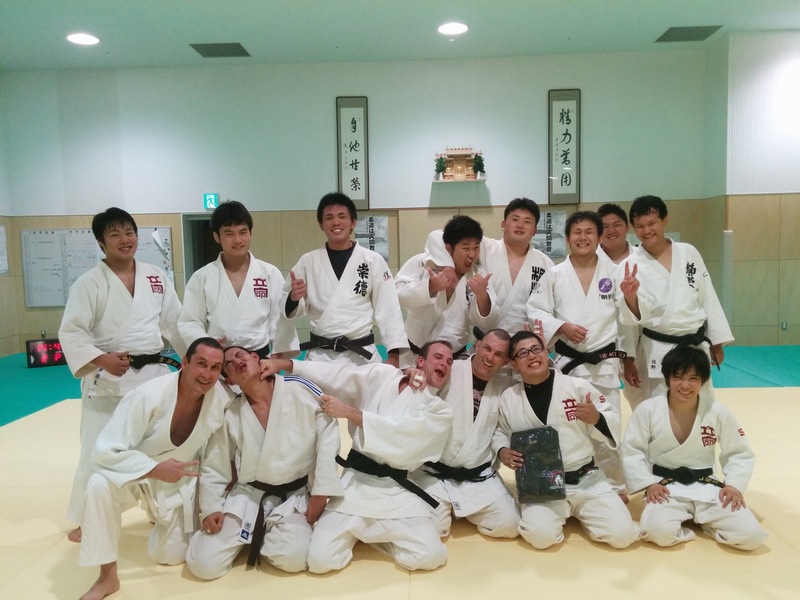 Japan has a similar system of College sports to the United States, and the universities in Japan consider Judo as an important sport to do well in. This means that top Judo athletes from high school are hand picked for top Judo universities and provided with the opportunity to train 7 days a week in great dojos. 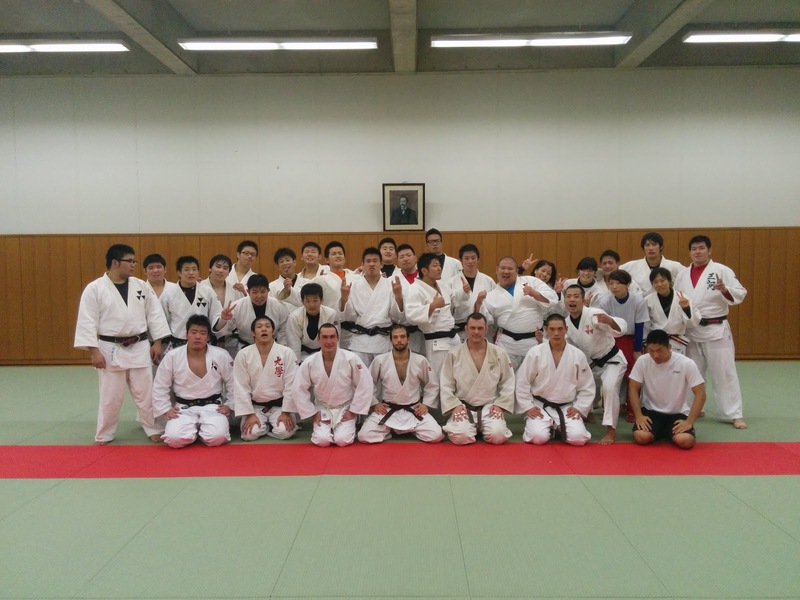 We wanted to do some Judo before and after our Shodan grading so we visited three different unversities in the Kyoto Area (we had to mix and match as it was unversity holidays and the no single university had training on every day. 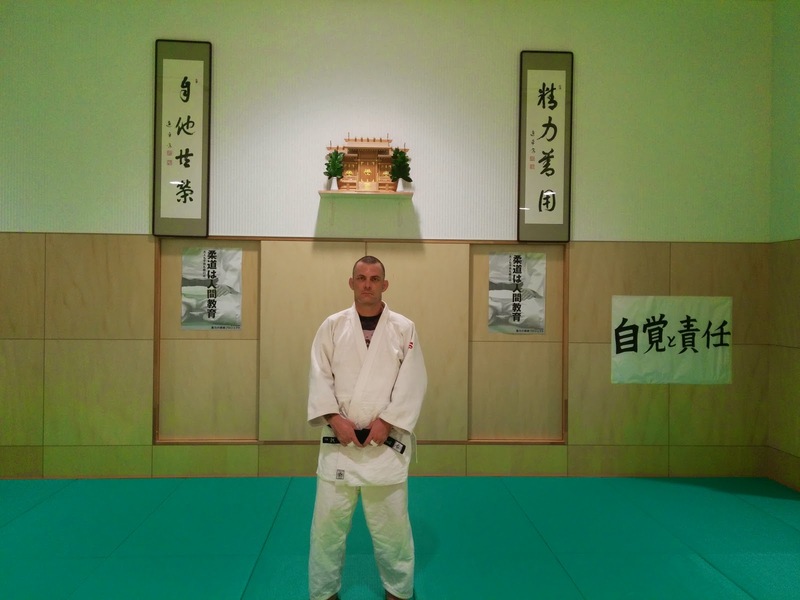 Doshisha University has a long shared history with the Auckland University Judo Club both Sensei Rick Littlewood and Sensei Dave Mair attended this Judo club. This club is located about 30 minutes train ride and 15 minutes walk from the city. We had a bit of a confusing time finding out how to get there on the first day as our instructions were to take the Kintetsu line to get there. After 40 minutes walking around the JR station we realised that the Kintetsu line is actually operated by another company and is located in a different part of the station :-(. Eventually we got on the right train but were too late to meet Shunsuke Onizuka we had to find our own way to the practice. Interestingly once we got there we saw some familiar faces from the Kyoto police gym, they must train at both locations. 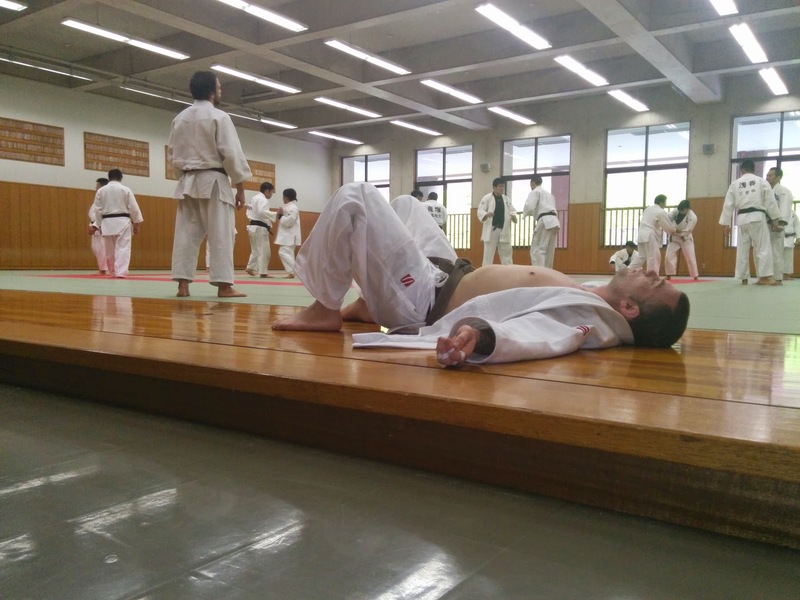 After 75 minutes of randori we were all exhausted, had had excellent ukemi practice, and knew exactly what the roof of the dojo looked like. Kyoto University is the second best academic university in Japan and has a few Nobel Laureates in its faculty. 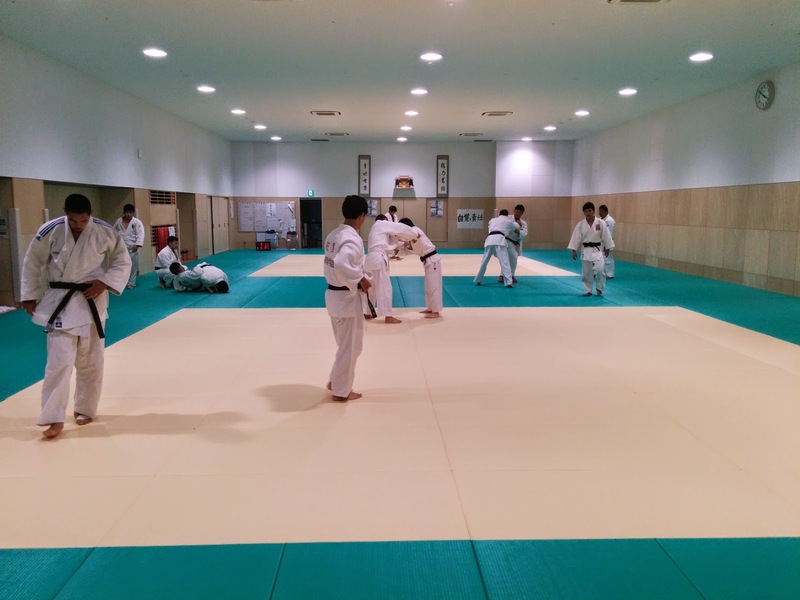 Kyoto is one of the seven Japanese Imperial Universities and therefore they practice Koshen Judo at the judo club there. 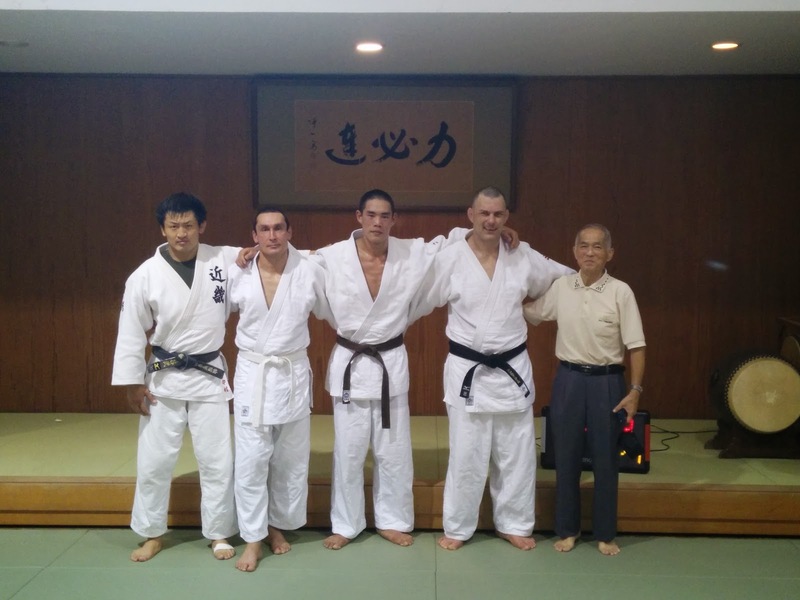 Henry had arranged for us to visit their Judo club and he Vladimir and myself joined them for their 9:30am training. We are standing in front of some of Kano sensei's Caligraphy. Koshen Judo rules allow unlimited ground work and you are also allowed to pull guard from standing. So in effect it it very much like Brazilian Jiu Jitsu. Ritsumeikan University is about 45 minutes bike ride (uphill) from K's House Kyoto. 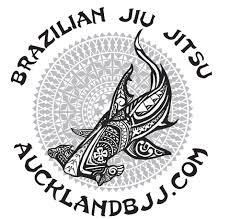 I had been there before but it took a long time for us to find the Dojo as it has be moved into the brand new gym they have there (Auckland University club uses their old mats). This place is soo beautiful and clean it looks like a spaceship. Again we got beaten up but the place looked amazing! Me and my new black belt.